What is the concept behind Staybridge Suites hotels? What makes it unique? The concept of the Staybridge Suites which is part of IHG, the “InterContinental Hotels Group”, is quite unique because of it’s “home away from home” concept, featuring a special sense of community, comfort and convenience, so that everyone who stays here can feel like they are in an absolutely comfortable, relaxed atmosphere. Most Staybridge Suites hotels are located in the United States. 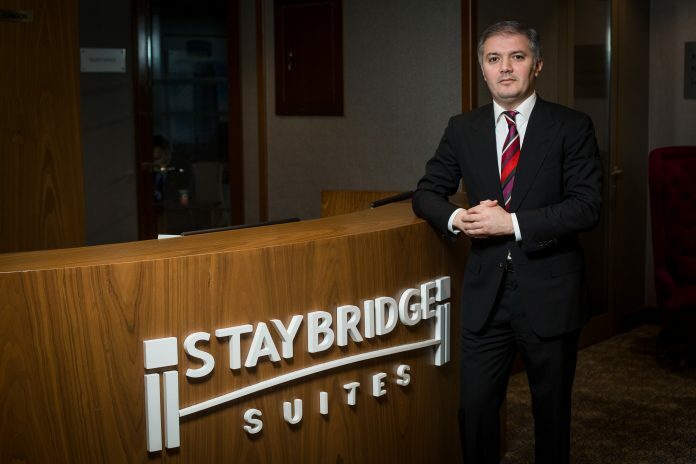 Why did Staybridge Suites decide Baku was a good fit for its hotel chain? When did the Staybridge Suites open in Baku? The Staybridge Suites brand is new in Azerbaijan and introducing it to the market in our country was a very interesting, attractive and profitable project because the majority of the people staying in our city are long-staying residents who prefer to stay in fully-serviced apartments rather than ordinary hotel rooms, although there is a lot of demand for both sectors. Staybridge Suites bridges the gap between the convenience and services provided by a hotel and the privacy and comfort of your own home. The Staybridge Suites Baku project began in March of 2014 when Azerbaijan hosted the first ever European Games, and after the brand evaluation process was completed on September 7th, 2016, the hotel officially became part of the InterContinental Hotels Group. What is the current average monthly occupancy of Staybridge Suites Baku? Describe the typical profile of your clients at the Staybridge Suites Baku? The current average monthly occupancy of our hotel is above 60-70%. Our Guests are mainly business people coming for long-term stays, however, we get short-term reservations as well, which proves the fact that both market segments are in demand. Our clients are mainly ladies and gentlemen of middle age who prefer to use the residential apartments for their stays but also widely use the services and facilities of our hotel, especially our wide array of food and beverage services. How does the Staybridge Suites Baku compare with other Staybridge Suites across the world? Our Hotel is comparably large with 123 rooms. It has the same service standards as any other Staybridge Suites in the world and offers the same quality rooms. However, our Baku hotel has very special packages for our long-term guests that allow them to benefit not only from the complimentary breakfast, but also from the free high-speed Internet all over the hotel, complimentary laundry services in the special Laundry Room on the 5th floor, specially organized “Social Evenings” for guests where we serve complementary snacks and drinks, and extremely comfortable apartments that are much more spacious and offer more apartment-like amenities than a standard hotel room. Talk a little bit about your career. How did you end up in the hospitality business? I began my career in the hospitality industry in sales & marketing, where I worked for five years. I spent the past 10 years in the role of General Manager for various hotels. I actively participated in openings of various different hotels in the region which could be categorized as business hotels, resort hotels and boutique hotels, and I was also involved in building up the employee teams in each of these hotels. All these above mentioned achievements led to my election as a member of Azerbaijan Tourism Association Managing Board in December 2010. I have strived to become a professional leader in the sphere of hospitality and share my knowledge and experience with my colleagues and employees, and in 2016 I was granted a medal of honored employee of tourism in Azerbaijan by The Ministry of Culture and Tourism. You are the first Pre-opening and Opening General Manager (GM) of a major international hotel chain in Baku who is originally from Azerbaijan. Most major hotel GMs are recruited from other countries to come to Baku. What does this mean for you personally and what does this mean for the future of the hospitality industry in Azerbaijan? This is very good question, and I would like to specifically point out that you are absolutely right mentioning the fact that most of the international hotels in Baku have foreigners as General Managers. It was quite an important, as well as a quite challenging, achievement for me and for my team of managers and employees to get the honor of being the first entirely local team of a relatively big hotel in Baku city center and carry out these duties while adhering to the corporate standards of InterContinental Hotels Group as well as to the standards of an international corporation. For me this personally has a meaning of honor, pride, and great responsibility, and for the future of the hospitality industry of our country this means we have the capability to move on to a new level of experience and practical knowledge that we can use to become a successful country with a developed hospitality and tourism sector. What are your goals for the Staybridge Suites in Baku? Our main goal is to present an absolutely different product to the market of Baku, a product which differs in quality, style, the form of delivered service, and the approach, and to create an atmosphere of a “residential hotel” which is unique, extraordinarily warm, more personal and at the end of the day, absolutely customer-orientated due to the unique interior design and in-room facilities provided to hotel residents. Does Staybridge Suites have plans to open anywhere else in Azerbaijan? 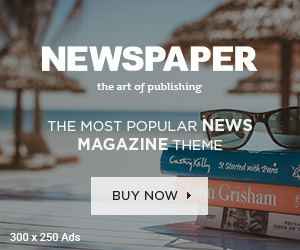 At the moment, we have no exact information about the future expansion plans of this brand in our country or in the region in general, however, maybe in the future some other icons of InterContinental Hotels Group brand might develop in this market. What do you think Azerbaijan needs to do to develop the hospitality industry in Azerbaijan? Hospitality is absolutely one of the key essential features among our national traditions, and therefore it’s not only quite culturally significant to further develop this sector, but it also definitely has a lot of impact on the whole country’s economy in general. If you asked me to find a comparison for the tourism industry of Azerbaijan, I would say it reminds me of a car’s engine, which controls the smooth work of all the other car parts, because all the spheres of the country’s economy absolutely benefit from the impact that tourism brings to the whole country in general and to all its individual industrial spheres. Firstly, we need to continue the educational process of enlightening the society about the significance of the development of tourism and hospitality in our country through the means of social media, public relations, and mass media; and secondly, we need to search for new markets and continue establishing and refreshing relationships with existing market segments by helping them to direct their tourists into different touristic regions of our country.